Kyle Bartley made an impassioned plea for Leeds United’s owners to extend Garry Monk’s reign as head coach after a dramatic 3-3 draw with Norwich City killed the club’s season. Bartley warned that Leeds “could be in trouble” and were at risk of losing “the best manager in the league” if they delayed in tying Monk down for a second year in the job. Kyle Bartley scores Leeds United's second goal against Norwich City. 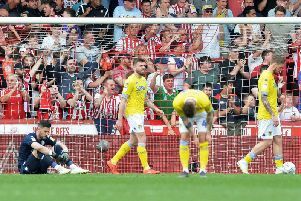 Monk’s attempt to deliver promotion to the Premier League at the first attempt ended on Saturday as a pulsating stalemate with Norwich ruled Leeds out of contention for a play-off place. The club are three points behind Fulham in the Championship table ahead of their last game of the season at Wigan Athletic this weekend but Fulham’s superior goal difference leaves United with no realistic chance of claiming sixth place. Bartley, who has spent the season on loan at Elland Road from Swansea City, said Monk’s squad “only have ourselves to blame” having held a play-off spot for four months but he laid the credit for the progress made at Monk’s feet and called directly on co-owners Massimo Cellino and Andrea Radrizzani to extend the 38-year-old’s deal. Monk is a game away from reaching the end of the 12-month contract he signed in June and Leeds, who hold an option to extend that deal to the end of the 2017-18 term, have not opened talks about a fresh agreement. He became the seventh head coach employed by Leeds in two years last summer and is the first to see out a full campaign since Brian McDermott in 2014. United are six places higher in the table than they were at the end of last season, with eight more league wins and 15 more points. Bartley, whose own future is yet to be discussed despite his consistent performances, said: “I said after week two of the season that Garry’s the best manager in the league and my opinion on that hasn’t changed all season. “He’s a fantastic manager and I feel a bit embarrassed talking about my future when his future is up in the air. If I was to say anything to Leeds it would be to get Garry signed up before you think about any players. He’s the cornerstone of this club at the moment and if they don’t sign him up they could be in trouble. “His personality, knowledge, insight and temperament are second to none. He’s been absolutely fantastic. He’s never pointed fingers when things have gone wrong and he’s taken the blame. We owe him more than what we’ve showed and we’ve let him down. If Garry does stay, the club will be in better hands than if he doesn’t. Radrizzani gave an indication at the club’s annual awards ceremony on Saturday night that talks over Monk’s future were likely to start within the next fortnight but the Italian’s own intentions as co-owner are still to be clarified amid expectations that he will seek to secure 100 per cent control of Leeds from Cellino before the start of next season. Cellino, who originally purchased a 75 per cent stake from GFH in 2014 before buying out the Bahraini bank last year, negotiated a 50-50 split of shares with Radrizzani in January after months of talks between the pair. Radrizzani, who built his reputation and fortune through sports media rights, is understood to have negotiated a clause allowing him to purchase Cellino’s 50 per cent share at the end of this season, a move which would significantly alter the balance of power at Elland Road. 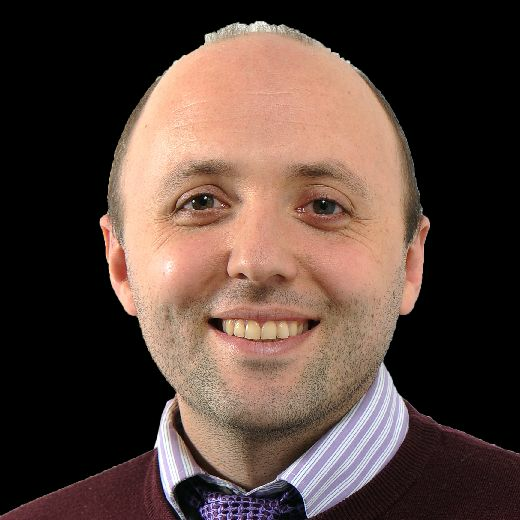 Last week saw a change to Leeds’ board of directors with the appointment of Spaniard Ivan Bravo, a close ally of Radrizzani’s who once worked as a strategist for Real Madrid and now holds the post of director general at the government-funded Aspire Academy in Qatar. Bartley, meanwhile, said he had not been approached to discuss the possibility of a permanent switch to Yorkshire despite being a fixture in Monk’s defence all season. The 25-year-old signed a new deal at the Liberty Stadium before moving to Leeds on loan, tying him to Swansea until the end of the 2017-18 term. He was recently linked with Premier League side Burnley. “My loan finishes next week and in terms of Leeds, there’s been no contact to me or to Swansea,” he said. “As far as I’m aware I go back to Swansea and we’ll see what happens in the next few weeks. Leeds trailed 3-0 to Norwich on 45 minutes after a shambolic first half on Saturday but Chris Wood’s goal on the stroke of half-time sparked an epic fightback which saw Bartley and Pablo Hernandez score after the interval to level the game at 3-3. United, however, were left counting the cost of a run of one win from seven games which threw away an eight-point advantage over Fulham with eight games to play. “We’re all bitterly disappointed to get this far and fall at the last hurdle,” Bartley said. “It really hurts but we’ve only ourselves to blame. “We’ve lost too many first halves this season and that’s cost us. It’s something for us to learn from and think about for next season.